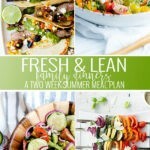 We are SO EXCITED to launch our Fresh & Lean Family Dinners summer meal plan today! 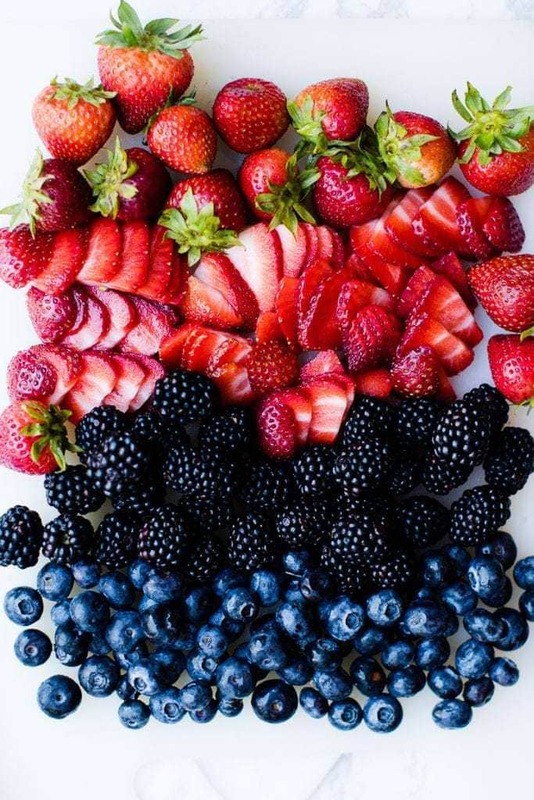 Summertime eating is a favorite of mine. 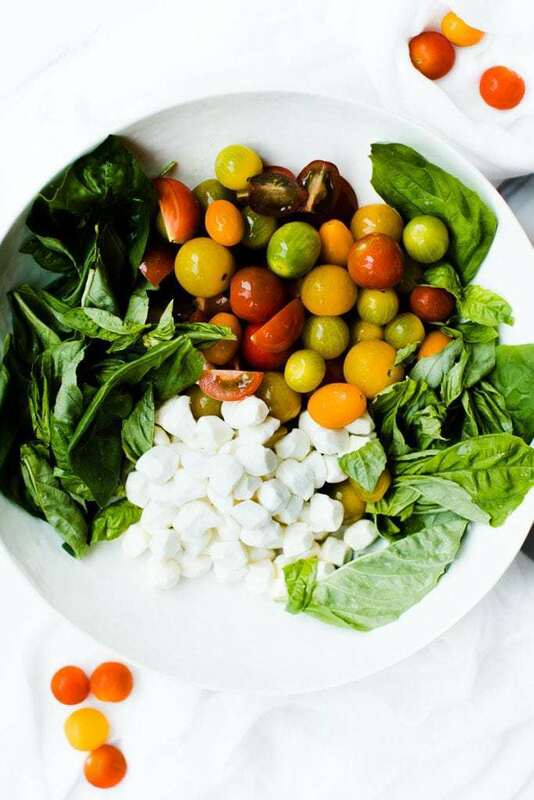 Who doesn’t love all of the fresh produce and outdoor grilling during this season? 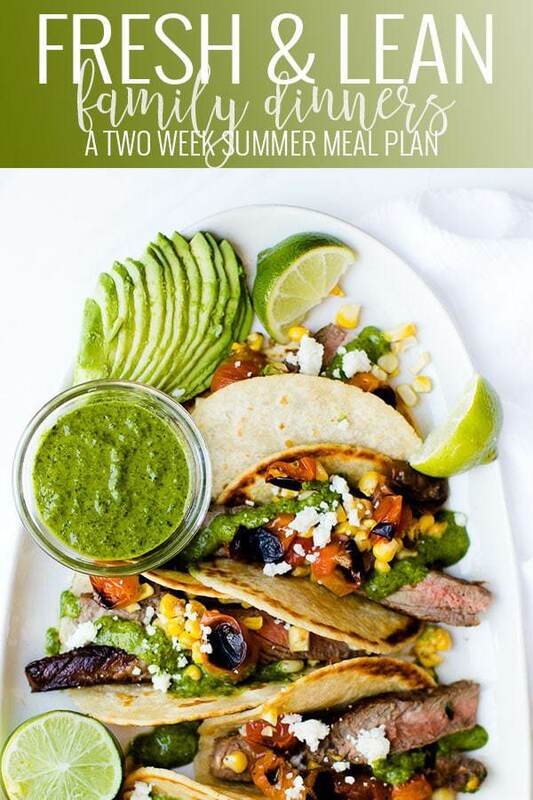 Our summer meal plan showcases all of those delicious summer foods. Meal planning helps you eat healthier. Meal planning eases the “whats for dinner?” question. Pro Tip 1: Always make your meal plan with your planner so you can make note of your busy nights and plan an fast dinner or slow-cooker dinner, and also know when you can take the time for a decadent meal. Pro Tip 2: Always make a grocery list from your weekly menu to avoid purchasing items you don’t need, and to prevent you from forgetting items you do need. WHY did we name it FRESH and LEAN? We know its hot, we’re all working on our “swimsuit body” (ok maybe just staying healthy). Heavy foods don’t agree with either of those! We produced meals that were all 600 calories or less per serving. Each meal is sure to be a favorite for EVERYONE in your family. They’re full of nutrient rich foods, so you, your friends and family will all be getting a delicious and nutritious meal! After you’ve tried out our meal plan, please come back and leave me a comment. You can also keep up with us on Instagram, Facebook, and Pinterest for all of our latest recipes and tips.